The U.S. Green Building Council was established to support efforts that make green buildings available to everyone within the next generation. The website www.usgbc.org offers extensive resources on LEED, green building research, updates on green building developments and activities as well as an overview and schedule of educational programming. 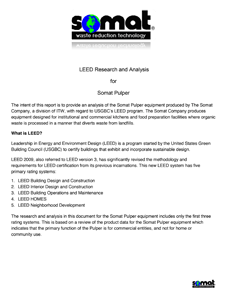 LEED is an internationally recognized green building certification system. 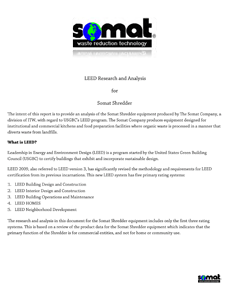 It provides building owners and operators with a certification framework. 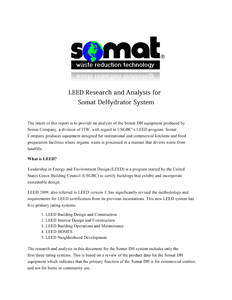 Somat has developed extensive support documentation for each equipment category.